Violence inflicted upon children is comletely unacceptable and it is banned by the Convention and yet millions of minors are victims every single day. In short, what does the Convention have to say about the subject ? Article 19 - States have the obligation to protect children from all forms of violence or mistreatment while in the care of parents or any other person who has the care of them. The State shall establish and develop prevention and treatment programmes. What is the situation like ? As always, in order to be able to implement effective solutions to combat an evil, it is critical to have solid knowledge and understanding of the problem. 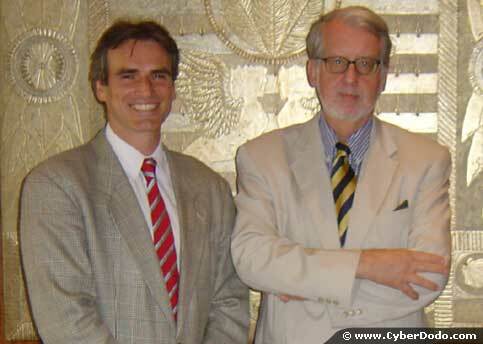 That is why The Secretary General of the United Nations, in 2003, appointed Professor Paulo Sérgio Pinheiro (one of the first supporters of CyberDodo the Defender of Life) to carry out a world report on the different forms of violence suffered by children. This information file is greatly inspired by this man's impressive work and extraordinary personality. What are the different forms of violence suffered by children ? Unfortunately, they are so numerous that it would be impossible to provide an exhaustive account they run the gamut from various forms of discrimination to psychological violence, neglect and humiliating treatments to physical and sexual abuses. Where do these abuses occur ? All children have needs (to learn more about this subject, see the information file on the best interests of the child) including fundamental needs such as to breathe and to eat, as well as higher needs such as the acquisition of knowledge in addition to the highest needs which are social in nature, such as to love and to be loved. All forms of violence which transpire in the context of the home and family are truly tragic, since they involve precisely those persons who are meant to ensure the well-being of the child and who the child instinctively trusts. Abuses that occur within the family can be of all forms and often go unreported because the child does not dare to report them. a) First of all because numerous children are the victims of violence there « official violence » because there are still countries in the world where schools are permitted to implement corporal punishment , or which is prevalent among children with physical or social differences. b). Because the school is a very important place involved in creating awareness and providing information on abuse issues, while also exercising an important role in the treatment of children who have been the victim of violence.